Maybe it's because summer is on the way, with rising air-conditioning costs, or last winter's frigid weather, but the tried-and-true utility bill scam appears to be making a return appearance across the U.S. It's an old scheme. Someone calls and pretends to be from your local utility. You are informed you are behind on your bill and if you don't pay immediately, service will be cut off. If you fall for the ruse you immediately pull out your credit card and give them the billing information. Worse still, you might give them a way to access your bank account. In Mississippi, Attorney General Jim Hood says his office has seen a resurgence of this scam. Hood says power companies operating in his state have also been alerted to the scheme, often by confused customers. The Mississippi attorney general's office began investigating a number of these calls and traced some of them to the Philippines. But some victims say they had caller ID, which showed the calls coming, not from a foreign country but from within the boundaries of the state. In fact, if you get one of these calls you should be highly suspicious. Utility companies don't normally call customers who are overdue – most communication is by mail. Someone who demands immediate payment over the phone is obviously scamming you. Just for argument's sake, let's say you get one of these calls and you think it might be legitimate. Tell the caller you will take care of it immediately and hang up. Next, find one of your utility bills and call the customer service number. Ask the customer service rep if you account is, in fact, past due. We're betting it isn't. Of course, this isn't the only scam involving your utility bill. Forbesrecently reported that a number of third-party electricity suppliers in various markets more than doubled their rates without any warning to their customers. Joseph Steinberg, a Forbes contributor, says consumers should think twice before paying these inflated bills since the utility may not have the right to suddenly double its rates. Most states strictly regulate utility rates, so if you have a question you should contact the appropriate state agency. 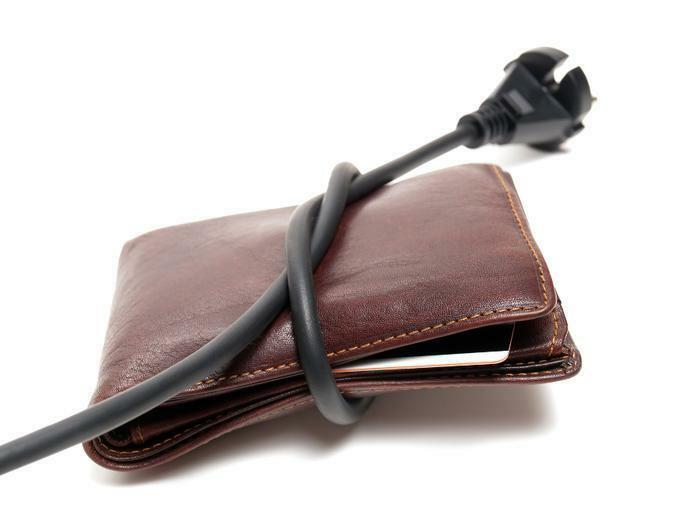 AARP warns of another utility scam that is showing up with increasing frequency. A telemarketer may call and tell you that you qualify for a 15% to 20% discount. First, however, you have to give them the account number of your current utility account. The next thing you know, you have a new utility company and the promised discount may disappear into thin air. According to AARP some natural gas and electricity supplier use telemarketers, and even door-to-door salesmen, to recruit new customers. After a brief introductory period your rates may skyrocket and you find yourself at the start of an expensive long-term contract. Air-conditioning: necessity or expensive luxury?